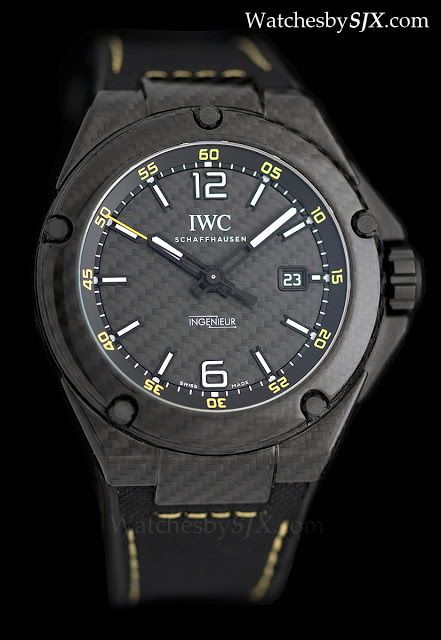 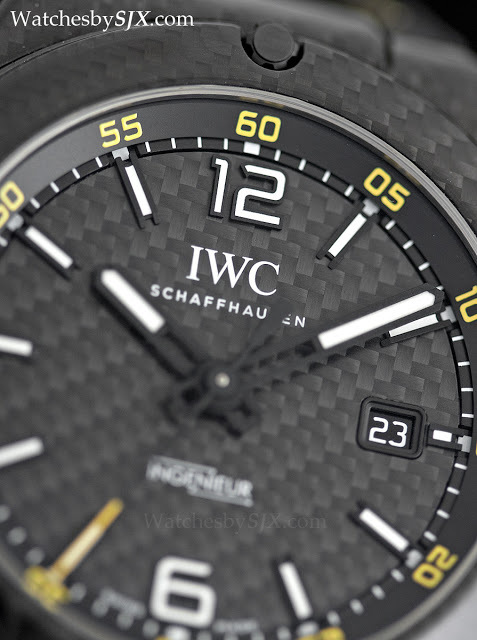 IWC uses carbon fibre, or more specifically carbon fiber-reinforced polymer, for the case and dial of the Ingenieur Automatic Carbon Performance, making it the brand’s first carbon fibre watch. 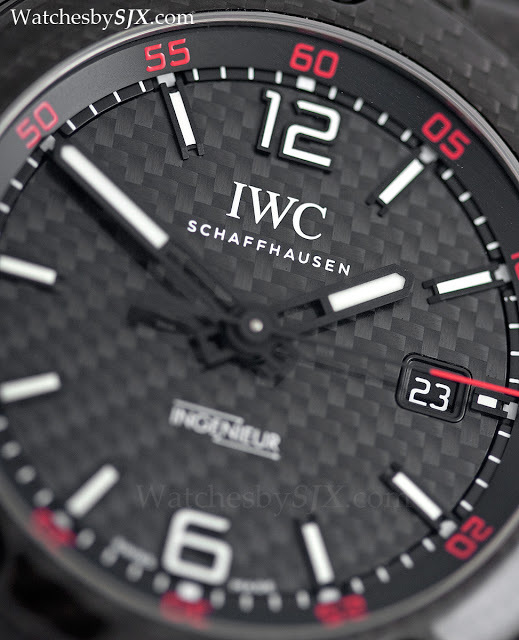 Launched at SIHH 2013, this is made as part of IWC’s tie-up with the Mercedes AMG Petronas Formula One Team. 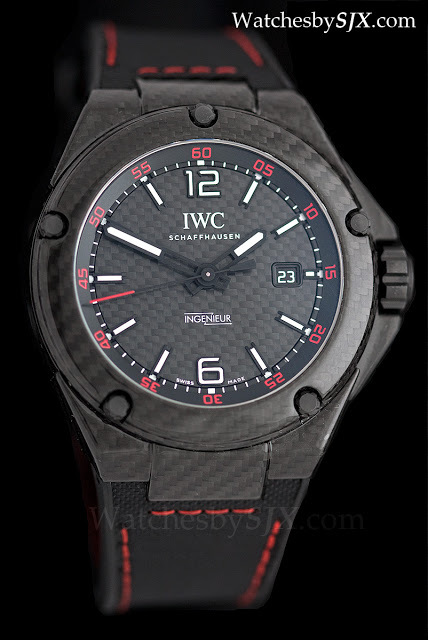 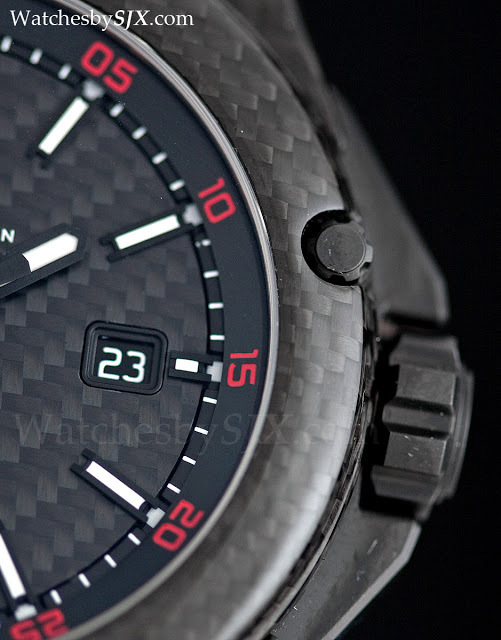 Carbon fibre is light – a useful property for large watch cases – and has directional strength, though neither as shock resistant or malleable as steel. 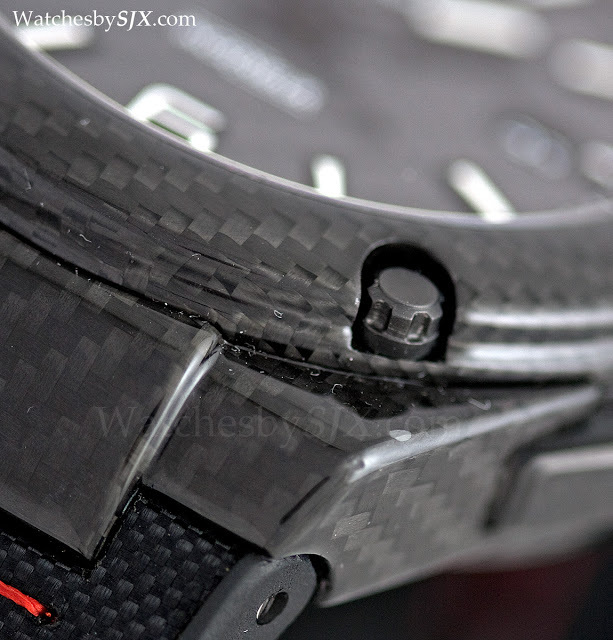 One way of manufacturing carbon fiber-reinforced polymer is laying the resin-soaked, carbon fibre sheets out in the required form, before being baked in an autoclave. 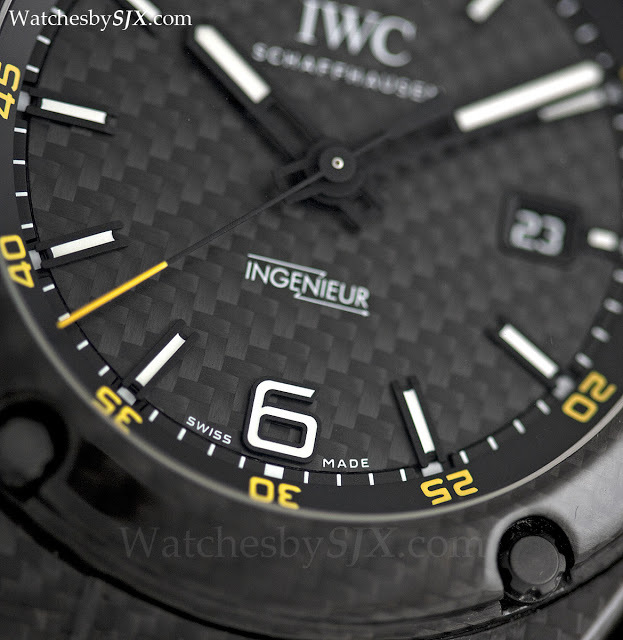 This is the process IWC uses, and it is also the same method used to make the monocoque shell of F1 cars. 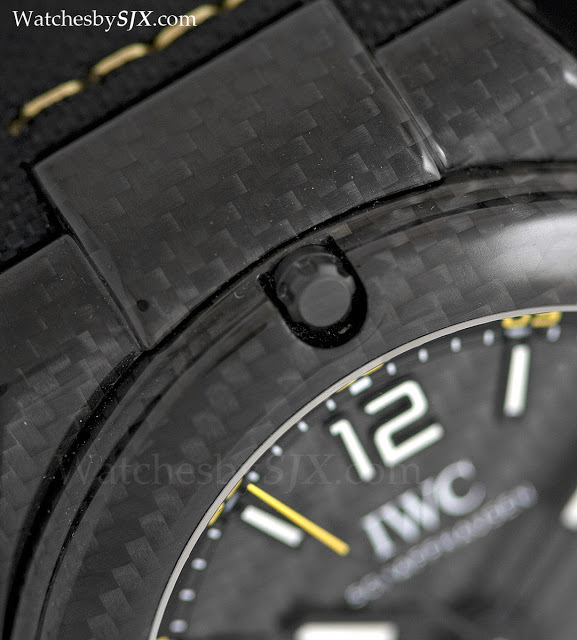 The finish of the material depends on the resin used, and IWC opted for a glossy finish for the resin. 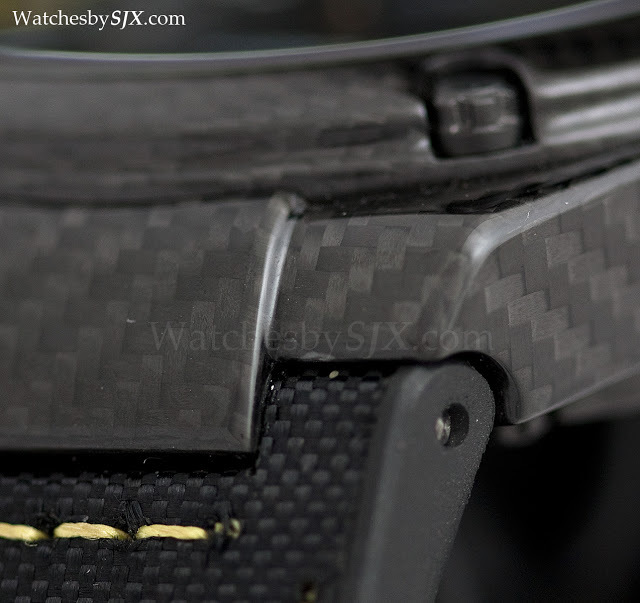 Because of the nature of the material, the shape of the case is not as well defined as metal alloy cases, so the edges are rounded rather than sharp. 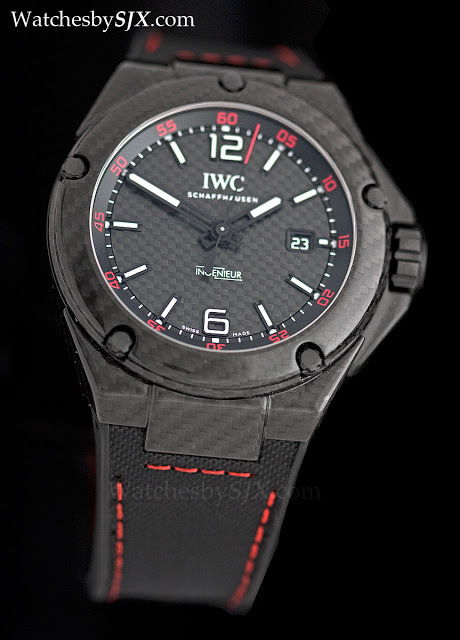 But this is not obvious given the dark colour of the case. 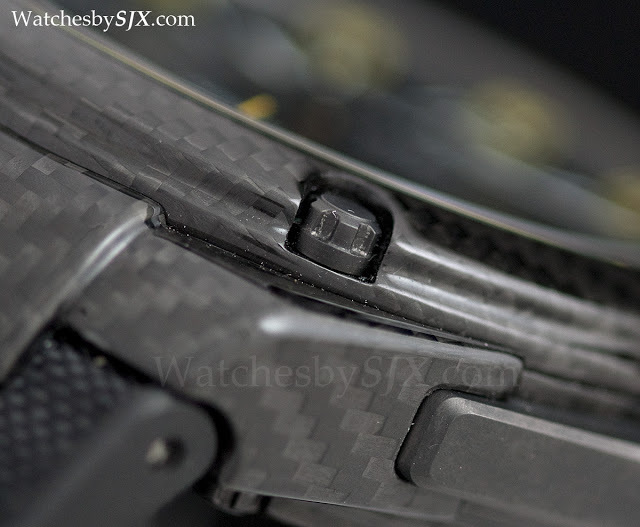 The case is 46 mm wide and 14.5 mm high, but because of the material it feels lighter than expected, though it still has some heft due to the movement and other materials used. 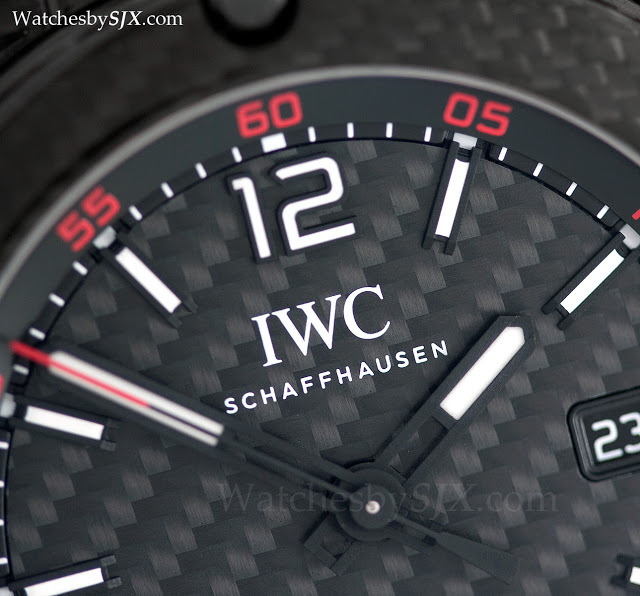 In addition to carbon fibre, IWC uses ceramic for the crown, crown guards and screw heads, as well as titanium for the case back ring. 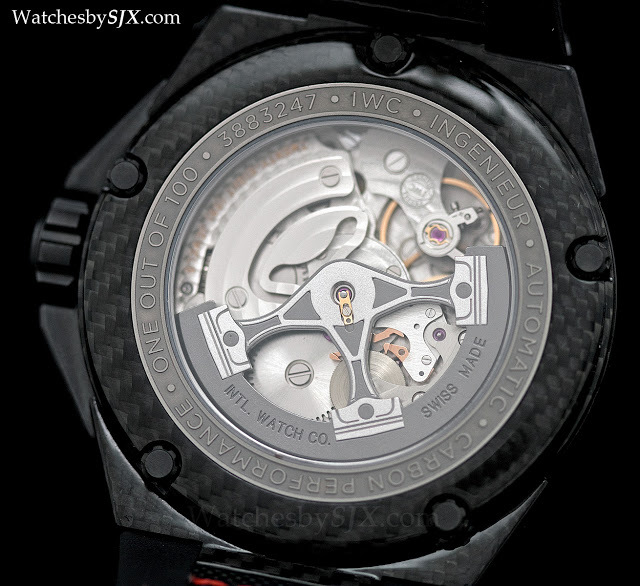 Inside is the cal. 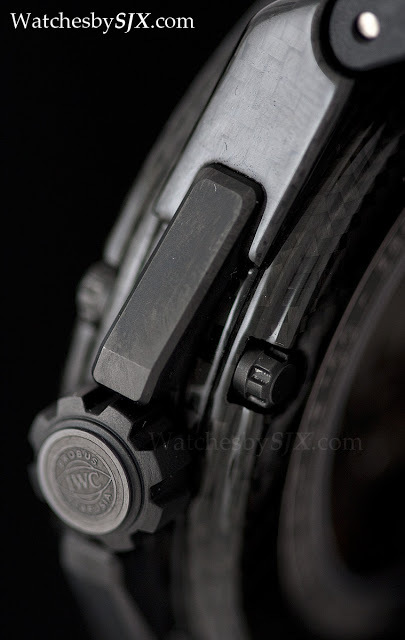 80110 of the 8000 series family, with Pellaton automatic winding and the distinctive S-shaped shock absorber for the piston-shaped rotor. 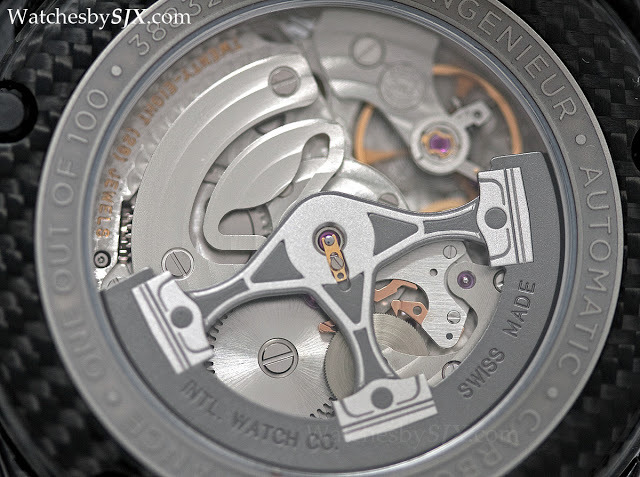 Though made in-house, this movement uses the base plate and gear train of the Valjoux 7750. 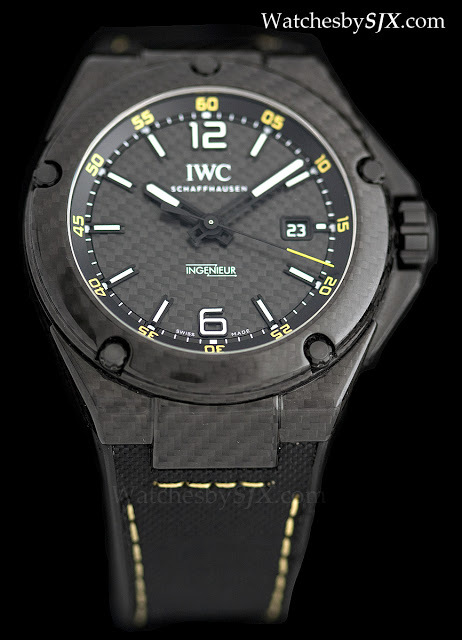 IWC has just unveiled the Ingenieur Automatic Edition “Laureus Sport for Good Foundation”, the 2015 edition of its annual limited edition conceived to raise funds for the Laureus foundation.